Former Congressman Aaron Schock may have violated House rules when he took a flight from Washington to Peoria in 2014 on a private jet with an insurance executive and loyal donor, the Chicago Tribune reports. According to an affidavit given to the FBI from Benjamin Cole, Schock's former communications director who testified this month before a grand jury in Springfield, Cole and another staffer traveled on a flight from the Signature executive terminal near Dulles International Airport to Peoria on April 11, 2014 along with Schock and insurance executive Michael Stone, the Tribune reports. Stone, who began supporting Schock during his first run for Congress in 2008, has reportedly contributed $43,200 to Schock’s campaign funds. 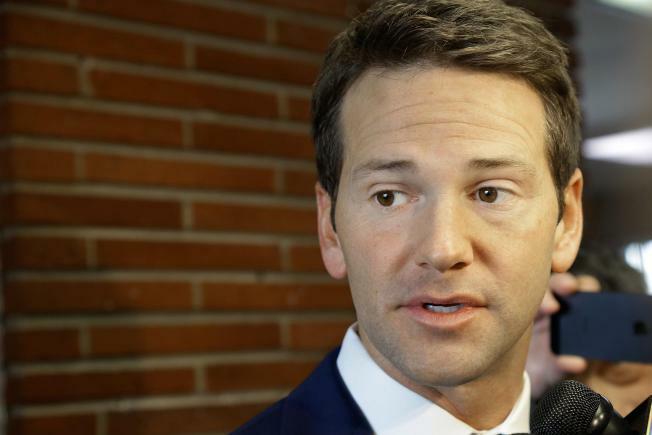 Cole reportedly said he called a Schock staffer in early 2015 with concerns the flight may have violated federal election laws or congressional ethics and was told the staffer would look into it. The Tribune reports there is no record of Schock reimbursing Stone’s companies through his House spending account, but if a lawmaker’s trip was campaign-related, they cannot use political contributions for noncommercial air travel. Stone, Schock and his lawyers did not return requests for comment from the Tribune.